We have all seen majestic pictures of the mighty polar bear in their northern climate of snow and ice, commonly swimming in frigid blue waters. Or in the zoo with children gazing up at them through the glass with a look of complete wonder in their eyes. 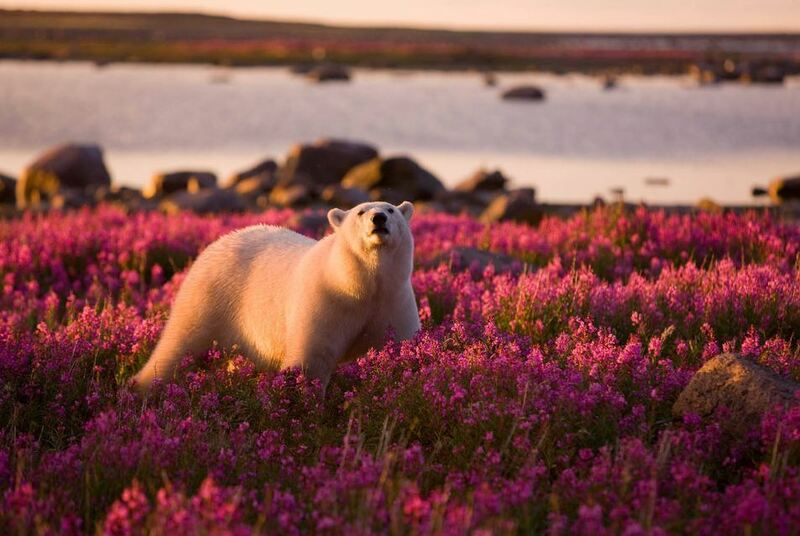 But this is the first time I have seen a polar bear surrounded in a field of vivid purple flowers. What an amazing contrast and breathtaking photo. Stunning is a perfect description. I love this! It’s like the bear finally got a vacation. I read some where or heard on one of the nature show. Polar bear fur is clear. Looking at this photo his fur does have a pinkish tint. You know, I think I’ve heard or read that, too.